The Strategic National Stockpile (SNS) is a large quantity of medicines and medical supplies managed by the Centers for Disease Control and Prevention (CDC). 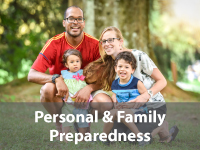 The Strategic National Stockpile contains antibiotics, chemical antidotes, antitoxins, life-support medications, IV administration, airway maintenance supplies, and medical/surgical items that can be used to protect the public in an emergency. During a public health emergency, local areas may run out of critical medicines or medical supplies. The SNS is designed for rapid deployment to quickly augment state and local supplies. The medicines in the Strategic National Stockpile are free to everyone. You will need to bring a complete Head of Houshold form if you are picking up medicine for someone else. The SNS has enough medicine stockpiled to protect everyone in several large cities at once. If it becomes necessary to dispense medications in North Central Health District, you will be informed of this through local TV, radio, and newspapers along with the NCHD website and social media. In Georgia, the Department of Public Health (DPH) is the lead state agency in planning to receive and distribute the Strategic National Stockpile if it is ever needed anywhere in Georgia. DPH works with many other state agencies in SNS planning. Each county in Georgia must be prepared to dispense medication to all residents very quickly in case of a widespread biological attack. The CDC has asked each local area to have plans in place to dispense medication to everyone within 48 hours of the time that public health officials are aware of the event. 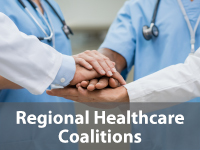 The North Central Health District is working with the county health departments and other partner agencies to develop mass dispensing plans for each of the 13 counties in the public health district. 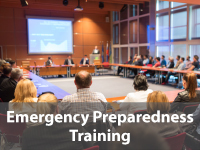 In each county, it is essential that emergency management, law enforcement, health care agencies, and other community agencies be involved in this planning. For more information on mass dispensing planning in your county, contact your local county health department. NCHD invites businesses, organizations and other agencies to enroll in the SNS Closed Site Dispensing Program. A closed dispensing site serves a defined group of people—usually the employees, employee family members, and patients or students or inmates of the organization or business. A closed dispensing site is not open to the public. 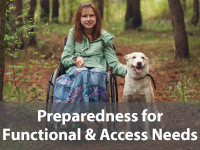 Enrolling your agency or business as a closed dispensing site ensures that your employees and employee family members are protected by having access to the needed medication. This ensures that your employees will be able to continue working or return to work quickly. Your employees will not have to take time off work and report to a public dispensing site. Closed Dispensing Sites will relieve some of the pressure on the public dispensing sites by reaching specific portions of the community. As a result, long lines and public anxiety can be reduced and resources can be used more efficiently. 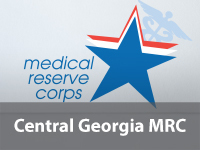 Have personnel available who can legally dispense medication in the state of Georgia. The medical personnel also will ensure that the proper health, safety, and privacy measures are being observed. Be willing to dispense medication to your employees, employee family members, and patients / students / inmates. Be willing to share contact information and estimated numbers with public health in advance. 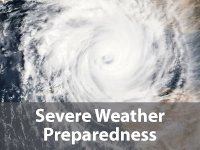 For more information on the Closed Dispensing Site Program, call 478-207-1412 or contact NCHD’s Emergency Preparedness Specialist.